Satoh, H., Jaenicke, E., and Paulsen, H.
Chlorophyll a/b binding-specificity in water-soluble chlorophyll protein. Nature Plants, 4: 920–929, 2018. • Mayuko Ono, Shigekazu Takahashi, Risa Shibata, Mizuki Tomizawa, Katsumi Nakayama and Hiroyuki Satoh: Molecular Cloning and Functional Expression of A Class IIA Water-Soluble Chlorophyll-Binding Protein From Brassica nigra. J. Botanical Sci., 5:33, 2016. • Kyoko Aizawa, Shigekazu Takahashi, Katsumi Nakayama, and Hiroyuki Satoh: Subcellular localization of Arabidopsis thaliana heme-binding protein 1 (AtHBP1), AtHBP2 and AtHBP3. J. 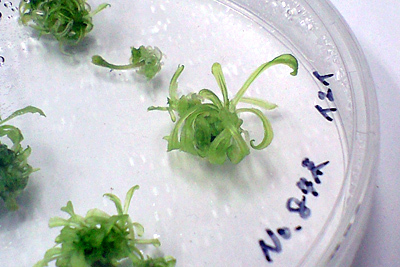 Plant Biochem. Biotechnol. 25:3215, 2016. • Shigekazu Takahashi, Kyoko Aizawa, Katsumi Nakayama and Hiroyuki Satoh: Water-soluble chlorophyll-binding proteins from Arabidopsis thaliana and Raphanus sativus target the endoplasmic reticulum body. BMC Res. Notes 8:365, 2015. • Shigekazu Takahashi, Kyoko Aizawa, Saki Nakamura, Katsumi Nakayama, Shingo Fujisaki, Soichiro Watanabe, Hiroyuki Satoh: Accumulation of alkaline earth metals by the green macroalga Bryopsis maxima. BioMetals Apr;28(2):391-400, 2015. • Shigekazu Takahashi, Akira Uchida, Katsumi Nakayama, and Hiroyuki Satoh: Effect of near-infrared irradiation on photoconversion of the water-soluble chlorophyll-binding protein of Chenopodium album. Biosci. Biothech. Biochem. 79(3):439-42, 2015. • Shigekazu Takahashi, Yumiko Seki, Akira Uchida, Katsumi Nakayama, Hiroyuki Satoh: Are tyrosine residues involved in the photoconversion of the water-soluble chlorophyll-binding protein (WSCP) of Chenopodium album? Plant Biol. 17(3),632-638, May 2015. • Shigekazu Takahashi, Eriko Abe, Katsumi Nakayama, Hiroyuki Satoh: Identification of genes encoding photoconvertible (Class I) water-soluble chlorophyll-binding proteins from Chenopodium ficifolium. Biosci. Biothech. Biochem. 79(2), 205-210, 2015. • Shigekazu Takahashi, Akira Uchida, Katsumi Nakayama,Hiroyuki Satoh: Three-step photoconversion of only three subunits of the water-soluble chlorophyll-binding protein tetramer from Chenopodium album. Protein J., 33, (4), 337-343, 2014. • Hiroyuki Satoh, Naomi Inokuchi, Yasuhiro Nagae, Taro Okazaki: Molecular cloning and characterization of two sets of α-θ genes in the rat α-like globin gene cluster. Gene, 230, 91-99, 1999. • Naomi Nishio, Hiroyuki Satoh: A Water-soluble chlorophyll protein in cauliflower may be identical to BnD22, a drought-induced 22 kD-protein in rapeseed. Plant Physiology, 115(2), 841-846, 1997. • Stephan Immenschuh, Shin-ichiro Iwahara, Hiroyuki Satoh, Christina Nell, Norbert Katz, Ursula Muller-Eberhard: Expression of the mRNA of heme-binding protein 23 is coordinated with that of heme oxygenase-1 by heme and heavy metals in primary rat hepatocytes and hepatoma cells. Biochemistry, 34(41), 13407-13411, 1995. • Shin-ichiro Iwahara, Hiroyuki Satoh, De-Xiu Song, James Webb, Alma L.Burlingame, Yasuhiro Nagae, Ursula Muller-Eberhard: Purification, characterization, and cloning of a heme-binding protein (23 kDa) in rat liver cytosol. Biochemistry, 34(41), 13398-13406, 1995. • Hiroyuki Satoh, Yasuhiro Nagae, Stephan Immenschuh, Tomoko Satoh & Ursula Muller-Eberhard: Identification and characterization of a cis-acting element that suppresses an activity of the liver preference enhancer element of the rat hemopexin gene. Porphyrins, 4(1), 9-14, 1995. • Stephan Immenschuh, De-Xiu Song, Hiroyuki Satoh & Ursula Muller-Eberhard: The type II hemopexin interleukin-6 response element predominates the transcriptional regulation of the hemopexin acute phase responsiveness. Biochem. Biophys. Res. Commun., 207, 202-208, 1995. • Tomoko Satoh, Hiroyuki Satoh, Shin-ichiro Iwahara, Zbynek Hrkal, David H. Peyton, Ursula Muller-Eberhard: Roles of heme iron-coordinating histidine residues of human hemopexin expressed in baculovirus-infected insect cells. Proc. Natl. Acad. Sci. USA., 91, 8423-8427, 1994. • Stephan Immenschuh, Yasuhiro Nagae, Hiroyuki Satoh, Heinz Baumann, Ursula Muller-Eberhard: The rat and human hemopexin genes contains an identical interleukin-6 response element that is not a target of CAAT enhancer-binding protein isoforms. J. Biol. Chem., 269, 12654-12661, 1994. • Hiroyuki Satoh, Yasuhiro Nagae, Stephan Immenschuh, Tomoko Satoh, Ursula Muller-Eberhard: Identification of a liver preference enhancer element of the rat hemopexin gene and its interaction with nuclear factors. J. Biol. Chem., 269, 6851-6859, 1994. • Midori Kono, Hiroyuki Satoh, Yasuyuki Okabe, Yasuko Abe, Katsumi Nakayama, Mitsumasa Okada: Nucleotide sequence of the large subunit of ribulose-1,5-bisphosphate carboxylase/oxygenase from the green alga Bryopsis maxima. Plant Mol. Biol., 17, 505-508, 1991. 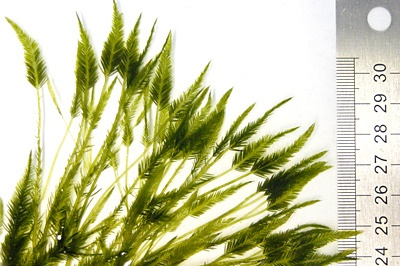 • Mitsumasa Okada, Yasuyuki Okabe, Midori Kono, Katsumi Nakayama & Hiroyuki Satoh: Peptide composition and enzyme activities of isolated pyrenoids from the green alga Bryopsis maxima. Can. J. Bot. 69, 1053-1061, 1990. • Hiroyuki Satoh, Hiroyuki Fujii, Taro Okazaki: Molecular cloning and sequence analysis of two rat major globin cDNAs. Biochem. Biophys. Res. Commun. 146, 618-624, 1987. • Mitsumasa Okada, Michiko Ohtomi, Katsumi Nakayama, Yohko Sakamoto, Hiroyuki Satoh, Masako Konagaya, Makoto Yoshizaki: Purification and characterization of a new pigment from the green alga, Bryopsis maxima. Plant Cell Physiol. 28, 1435-1441, 1987. • Hiroyuki Satoh, Mitsumasa Okada, Katsumi Nakayama, Teruyo Murata: Purification of ribulose 5-phosphate kinase and minor polypeptides of pyrenoid from the green alga Bryopsis maxima. Plant Cell Physiol. 26, 931-940, 1985. • Hiroyuki Satoh, Mitsumasa Okada, Katsumi Nakayama, Kazuyuki Miyaji: Purification and further characterization of pyrenoid proteins and ribulose-1,5-bisphosphate carboxylase-oxygenase from the green alga Bryopsis maxima. Plant Cell Physiol., 25, 1205-1214, 1984.